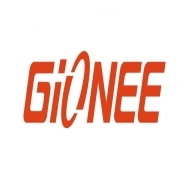 Download All Gionee Mobile Phones Stock Rom (Flash File | Firmware | Scatter Files). Select The Scatter File (Firmware | Stock Rom | Custom Rom) Of The Device You wish to Flash. Switch your Device Off and Connect It To Your PC. Learn More about Using SP Flash Tool, Infinity-Box and other repairs Software to Upgrade, Unlock and Unbrick Gionee Phones and Tablets.